Angel's texts are a proven favorite among students and instructors alike. The Angel texts consistently receive praise for their readability - short, clear sentences are used to ensure the text is readable even for those with weak reading skills- and for the abundance of detailed, worked-out examples... more than any other text! 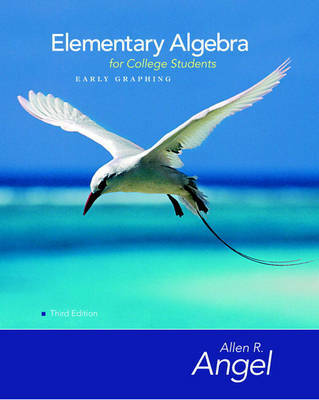 In this revised, 3rd edition of Elementary Algebra Early Graphing for College Students, Angel continues to focus on the needs of the students taking this class and the instructors teaching them.